In this week’s episode of This Old Marketing, Robert and I discuss two major business acquisitions: Yahoo! by Verizon and Dollar Shave Club by Unilever — and ponder their implications to content marketers. Next, we’re excited about the innovative new content marketplace Medium has launched that could become a category killer. Finally, The New York Times’ T Brand Studio has morphed into a full agency, a move that may not bode well for traditional Madison Avenue advertising firms. 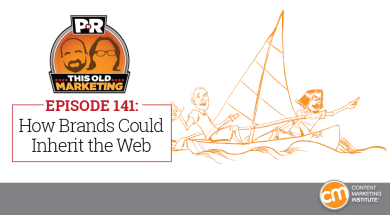 Rants and raves include an award-winning documentary for an iconic guitar, why your team should create a “stop” list, and why media companies may implode as brands get better at content. This week’s This Old Marketing example: Houghton. Yahoo sells core business to Verizon for 4.8 billion (9:17): The internet is an unforgiving place for yesterday’s great idea, and Yahoo has now reached the end of the line as an independent company. The board of the Silicon Valley company has agreed to sell Yahoo’s core internet operations and land holdings to Verizon Communications for $4.8 billion. The lesson: Be exceptional at one thing and focus on that. Don’t dabble in lots of things, which was Yahoo’s downfall. The potential (but not likely) upside: Verizon could create an incredible content network from the media brands it has acquired via AOL and Yahoo. Unilever buys Dollar Shave Club for $1 billion (19:30): Dollar Shave Club — which was built on the idea of, well, inexpensive razors — has sold itself to Unilever for an all-cash deal worth $1 billion. Unilever seeks to leverage the data the spunky retailer has acquired about its male audience, as well as its innovative direct-to-consumer business model, explained on the Stratechery blog. Robert and I love the way Dollar Shave Club embraced the role of disruptor, with its subscription-based business model and entertaining YouTube videos. We agree that any company can do this; all it takes is an innovator’s mindset. Medium is launching a creative exchange for writers (26:05): One of Medium’s goals is to help writers and publishers get paid for their work on the popular blogging platform. Accordingly, it has launched The Creative Exchange, a program that seeks to connect creators with brands. Robert and I agree that this is essentially a content studio or agency that is recruiting creative talent from its writing population. This opens up some fascinating opportunities for creatively rewarding top talent, which should give it a significant advantage over existing freelance writer marketplaces. T Brand Studio is now a full-fledged agency (31:44): When The New York Times’ T Brand Studio opened for business two-and-a-half years ago, it sold marketers, including those at Netflix and Cole Haan, on the idea that it could create splashy, multimedia articles that could be taken for Times journalism. It’s now expanding into an agency, with a full array of marketing products and services. The big advantage publisher-owned content studios offer versus traditional media agencies is distribution. Robert and I discuss what this development means to traditional agencies. 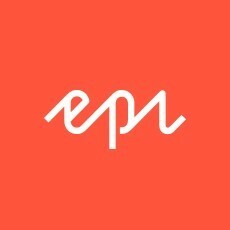 Episerver: As a digital marketer, you face both external and internal challenges — from declining organic reach on social to software issues that sap your team’s productivity. At the same time, you’re tasked with managing content that increases lead count, boosts sales, or raises customer loyalty. Four Steps to Simplify Digital Experience, a new guide from Episerver, covers the four fundamental steps of the digital customer experience, and gives hands-on advice on how to work more effectively using Episerver’s CMS and Digital Marketing platform. Each step is accompanied by concrete examples that show you how Episerver helps you simplify the digital experience for your customers. You can download it here: http://cmi.media/pnr141b. Robert’s rave: Robert is a musician. That’s why this article about guitar manufacturer C.F. Martin’s award-winning documentary has him on his feet and cheering. 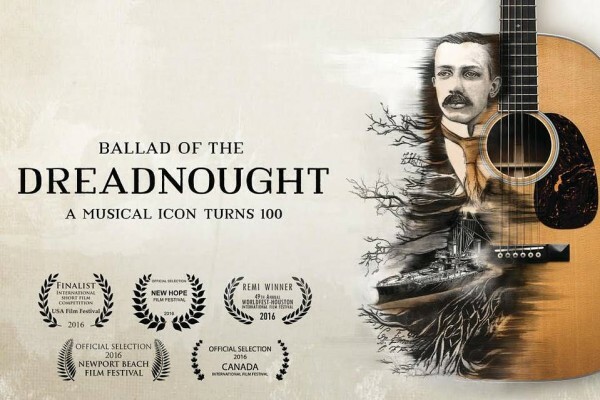 Martin released this 40-minute film in May, titled Ballad of the Dreadnought, in recognition of the 100th anniversary of its influential “dreadnought” guitar shape. Since then, it has been shown at six film festivals and has accumulated over 30,000 online views. It’s a wonderful documentary — but for some reason it hasn’t been promoted online very well, which Robert finds rather frustrating. Joe’s rant and rave: I love Robert’s column in this week’s CMI content strategy newsletter, which explains why every content and marketing team needs a “stopping” list. This is often harder than it sounds. I also have a minor rant: This New York Times article explains how brands are increasingly using native advertising and sponsored content as “gateway drugs” to get into content advertising. But as they get better at the latter, they don’t really need media companies to distribute their messages. I predict this may cause media companies to implode and that brands will eventually inherit the web. Houghton: Houghton International was a chemical, oil, and lubricant company that was founded in 1865. Its first commercial product, launched in 1867, was a rust preventative. Starting in 1908, the company produced a customer-focused magazine called the Houghton Line. Its initial audience was Houghton agents, but readership grew so fast that it was expanded for distribution to customers and prospects. When it was retired in 2008, on its 100th anniversary, Houghton said it had become the longest-running industrial publication in history. 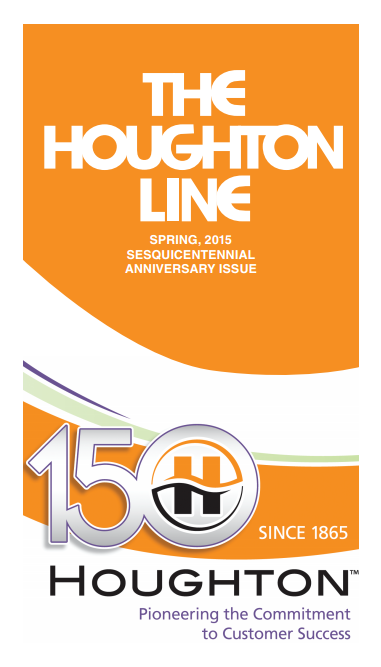 In 2015, the Houghton Line was resurrected for a one-time issue to celebrate the company’s 150th anniversary. It contains a collection of material from past issues, including wise and witty quotations, social and political commentary, letters to the editor, a Prohibition-era short story, and much more. The Houghton Line is an outstanding example of This Old Marketing.